Mizuno Wave Inspire 12 are stability cushioned running shoes. 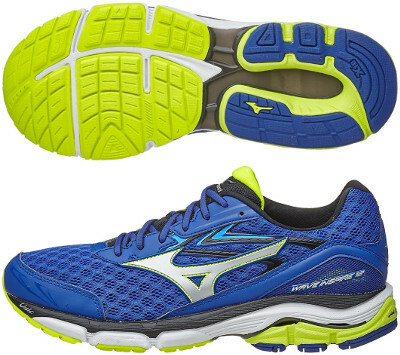 The Mizuno Wave Inspire 12 is the most recent attempt from the japanese brand to provide a softer ride for runners looking for pronation control. It becomes an obsession for Mizuno's engineers and designers in order to increase market share. Good cushioning, stable ride and great price for value make the Wave Inspire 12 a perfect choice for everyday training and mid/long distance racing. Few updates from its predecessor the Wave Inspire 11. Redesigned upper with stitched overlays on breathable AIRmesh provides a more secure and snug fit in both heel and midfoot with more room in toebox. Removable OrthoLite® insole not only features extra cushioning but also moisture management and antimicrobial properties. Looking for more softness, the Wave Inspire 12 has reengineered its midsole platform where major highlight is the new U4icX in the heel for softer response and improved shock absorption. Rest of midsole includes double fan Wave® to provide a stable ride increasing torsional rigidity between the heel and forefoot and full length layer of U4ic foam for more cushioning and smooth ride. Amount of blown rubber has been increased in outsole for longer durability and more comfort.